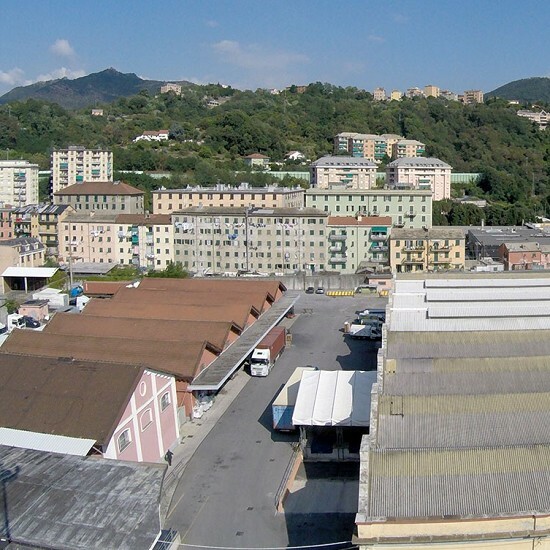 Frigo Genova srl is been established in 1979, and has Cold and Refrigerated Stores in the nearby of the port of Genoa, in the most industrial areas otf the town (Bolzaneto, Rivarolo). All the stores are CEE certificated. Our Refrigerated Stores offers 80,000 cubic meters for storage of meat, fish, vegetables, ice-creams at temperatures from -18°C (-0.4°F) to -27°C (-16.6°F). For fruit storage we offer Cold Stores at temperatures from 0°C (32°F) to +15°C (59°F) . In our non-refrigerated stores, in areas of more than 5,000 square meters, is possible the storage of cocoa, coffee, sugar and any good that don't needs a controlled temperature. Particularly delicate products, such as biological sugar and biological cocoa can be stored in our controlled temperature stores. 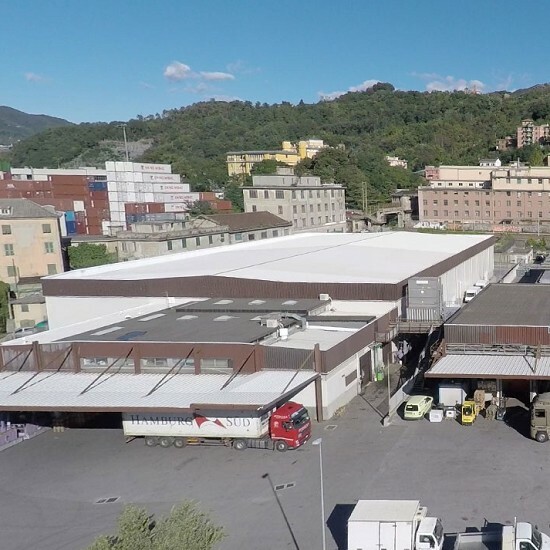 9,500 m² of storage and 15,000 m² of manoeuvring space, 25,000 m² for the storage of frozen, fresh and dry goods simultaneously. 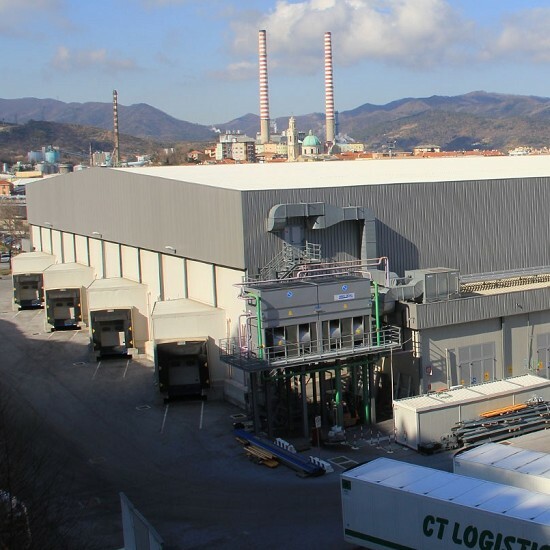 7 cold stores for controlled temperatures between +5° and -27°, storage capacity of around 9,000 pallets, total surface area of 6,000 m².